SYDNEY'S super mare Winx is at unbackable odds to create an Australian record for consecutive wins in the race named in her honour. TAB Fixed Odds has opened betting on the Group 1 $500,000 Winx Stakes (1400m) at Royal Randwick on August 18 with the champion rated $1.10 to score her 26th win in succession. Godolphin's boom galloper Kementari is next at $11. 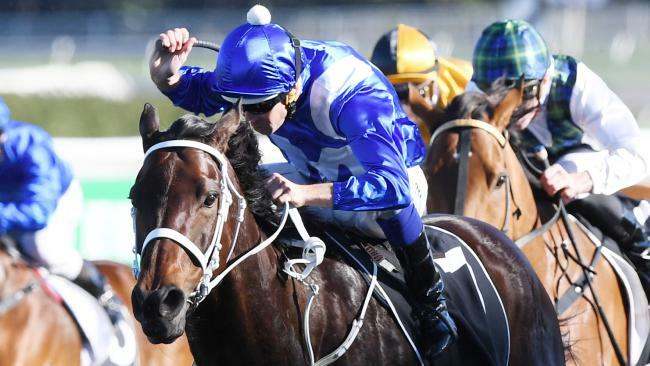 Winx, who is back in work at Rosehill with trainer Chris Waller, shares the record for consecutive wins with another legendary mare, Black Caviar. Waller is yet to confirm Winx's new-season race campaign but for the past two years she has resumed in the race formerly known as the Warwick Stakes, winning both times and kick-starting her successful Cox Plate campaigns. Part-owner Peter Tighe said it was expected the great mare would resume racing in the Winx Stakes. "It is likely she will follow the same path as previous years,'' Tighe said. "There is no reason to change as this race fits in with her race program. The Warwick Stakes race name has been changed to the Winx Stakes for the first time this year, coinciding with the race's elevation to Group 1 level. Winx has already won a world record 18 Group 1 races and prizemoney of $18.9 million. She is being aimed at an unprecedented fourth consecutive Cox Plate later this year. Tighe revealed all the early indications were positive that the rising seven-year-old mare was coming up well for the new season. "She has spelled great and is in perfect condition,'' Tighe said. Tighe is also a part-owner of talented Waller-trained colt Performer, $11 second favourite behind stablemate The Autumn Sun ($6) for the Group 1 $1 million Golden Rose (1400m) at Rosehill on September 22. 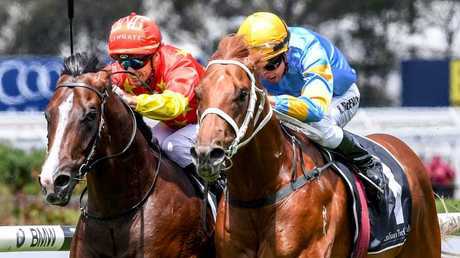 Performer had been the long-time Golden Slipper favourite before he spectacularly dumped jockey Hugh Bowman near the line in the Todman Stakes. He then ran down the track in Estijaab's Golden Slipper. "We had that hiccup with Performer a couple of weeks before the Golden Slipper, which certainly didn't help his chances,'' Tighe said. Tighe is also in the enviable position of sharing in the ownership of ATC Australian Oaks winner Unforgotten and Queensland Oaks runner-up Another Dollar. Both are shaping as spring carnival contenders.